We have moved in to a temporary facility in the Bramley area of Leeds. 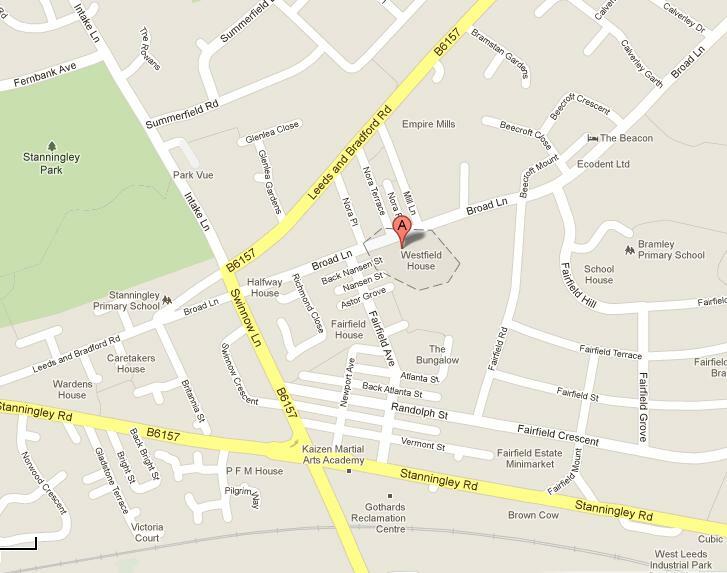 The address is Aviator Allstars Cheerleaders, Unit B/C 1st Floor, Lower Westfield House, Broad Lane, Bramley, Leeds LS13 3HA. You can get the number 14, 508 and 671 bus from Wellington Road in Leeds City Centre, or catch the number 14 bus from from Bramley train station. For help planning your journey by public transport visit the Metro Journey Planner. If you need any assistance please let us know. We will do everything that we can to help. Click onto this link for full bus service information www.WYMetro.com. The gym is where the Aviators hold all their classes but it is also available for rent by groups or individuals. It is ideally suited for cheerleading and gymnastics groups but also could be of interest to dance groups, martial arts clubs, parkour groups or anyone requiring a large space. Rates are dependent on booking time, length, and recurrence. Please contact us for a quote.